It’s National “Treat Yo Self” Day! What are your top 3 stops or activities? New article from Coach Kathleen coming at’cha! Pull Ups – had a couple of questionable and missed reps near the end. 1.) Sitting alone in a tree stand. 3.) A good glass of bourbon, fireside, hanging with my wife. My fav is chocolate almond and anything chocolate and/or peanut butter related! Fun throwing down with the 5:15 crew! QOD: workout, massage, the best Mexican food a girl can find. Actually, after reading Ed’s answer I think I want in on the tasing menu, 12 courses, wine pairing. If I could quickly fly to London for dinner then I would make a resi at Launston Place. Finished fast, probably the Pull Up scale was too much.. but this kept me back at the barbell pretty quick and that made the heavier weight a little spicy. So good! Push Ups today instead of some other mod, cause I gotta work volume in WODs. Was only at singles for the last three reps in the final two rounds that’s a win, tried to maintain larger sets in general. Sycamore! My fav!! Have you had their bacon cheeseburger? I got that Sun for our anniversary! Splurge! 1) Get good foods delivered to my house on demand. I will pay an uber driver whatever it costs to pick them up and drop them off. Probably a million tacos followed Max & Leos then a million donuts with a side of ice cream. 2) Order all the stuff I have in my online shopping carts. Seriously, I spend a lot of time filling up online shopping carts. 3) Have a personal masseuse come over for a massage- bonus, he/she can also do mani/pedis so I’ll get one of those too. Love that I can do those now. My treat yo self day: workout at Tilt, go to treehouse for beer, watch Netflix and eat takeout with my beer. QOD: Golf in the early morning, matinee movie with a giant popcorn, soda and the theater virtually empty, late night ice cream to cap it off. War Admiral – 16:18 #105, HSPU 3,2,2,2,1,2,2,2,3 and Purple Band PUs. Treat yo self: 1. Spend day see multiple movies(In theater) 2. followed by drinks at Drink 3. then dinner at Island Creek Oyster. Drinks and dinner would include friends, movies just me. QOD – 1. Haircut and mani/pedi done in house. I’m usually racing around to these places but because it’s Treat Yo Self Day I’m paying for them to come to me. 2. All my fav foods readily available. Maybe I’ll go out and maybe I’ll get delivery. Again, it’s Treat Yo Self Day so no matter what I’m making it rain. 3. Spend time w Maddy and Rogue and workout with my peeps. Looking at this closer I could easily make this happen sometime soon. Maybe not getting people to come to my house or getting all my fav food but for the most part this could happen. crushed it Jen, So strong! Allow myself unlimited time roaming around Sephora and buying all the products I deem necessary!!!! This is an awesome day. Especially the sneaky puppy at the end. Love it! Also, freaking killer job on those HSPU! So strong! 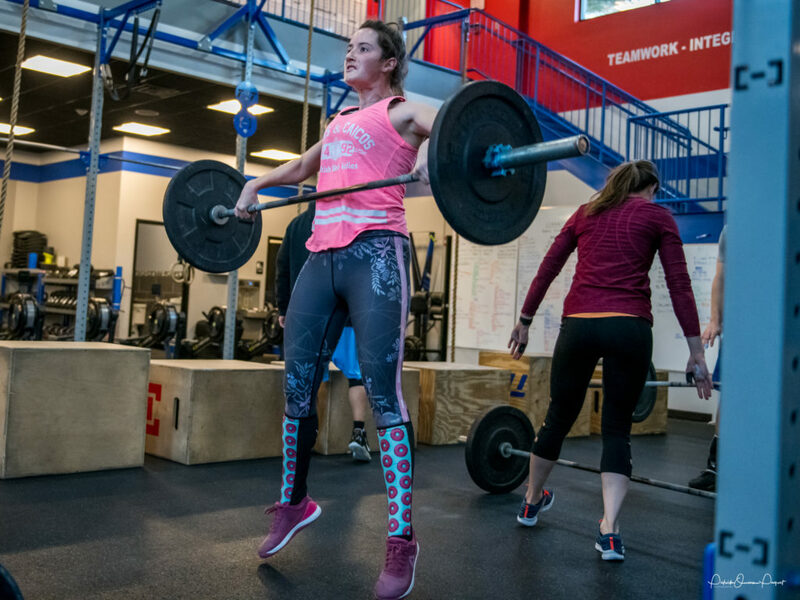 Casually going 10 touch n go power cleans on the last set…those legs! 18ish at home, subbed pike pushups for hspu. A lil hike upstairs to do pull ups each round. QOD: trip to a float tank, pick up some Bedford farms on the way home. Mixed pint of mocha chip and moose tracks, then I’d buy a killer home theater sound system cause I’ve always wanted one. Treat Yo Self!